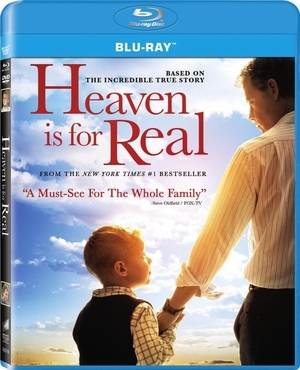 A young boy suffers a near-death experience in which he claims to have visited heaven in this earnest inspirational drama based on the best-selling book of the same name. 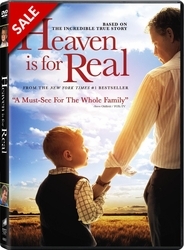 When their young son Colton (Connor Corum) enters the hospital with a life-threatening illness, devastated parents Todd (Academy Award nominee Greg Kinnear) and Sonja Burpo (Kelly Reilly) are uncertain whether he will make it out of the operating room alive. But in what Colton's doctors credit as 'a miracle,' he survives -- and with an incredible story that seems to confirm the existence of heaven. Later, despite Colton's accurate and intimate revelations about people he has never encountered -- including his sister who died in utero and his late grandfather -- skeptics hastily dismiss any possibility that the young boy's fantastical claims could be true. Meanwhile, his astonished parents seek meaning in the alleged miracle that has turned their once-peaceful lives completely upside down.